While Chinese Internet cafes are supposedly on the decline, but with a 126 million active players at net cafes across the country it's easy to see that net cafes are still a major player in the gaming scene of China. Such as it is, it's always interesting to see what kind of games are being played in the country's net cafes. China&apos;s Internet Cafes Are Disappearing. What&apos;s Going On?! Despite it being a new year and a new month, we'll be taking a look at statistics from last month published by Tencent. Tencent, the Chinese gaming giant that I think will one day take over the world, publishes and develops video games among other things. This list might be a bit biased (Tencent did publish it) so please take it with a grain of salt. Genre: Massive Multiplayer Online Role Playing Game. 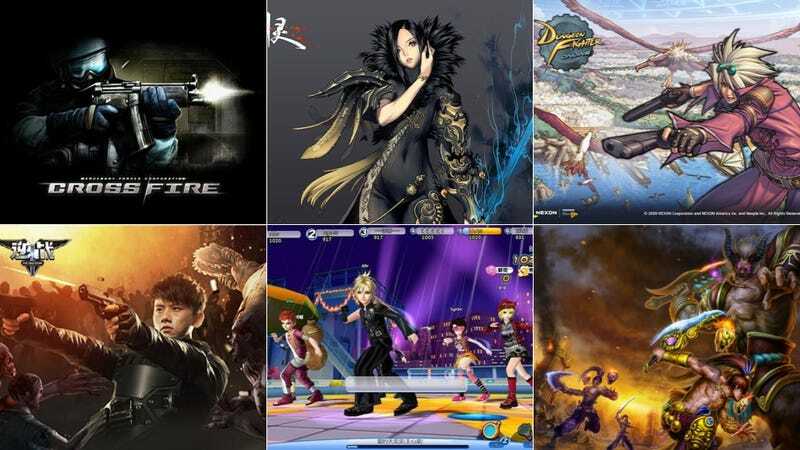 Of the above games, eight out of the ten are either developed or operated in China by Tencent. In China online games are often "operated" or published by a publisher. Foreign developed games tend to work in unison with a Chinese developer/publisher to put their games out in China, the best example would be World of Warcraft and NetEase. For example, NetEase is the operator and "distributor" of WoW in China.